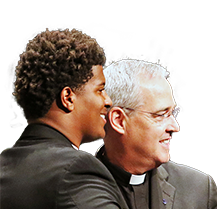 The Jesuit Dads Club's 14th annual Men for Others Dinner on Sunday (April 7) at Higgins Hall once again brought together more than 600 fathers and sons for a wonderful evening of food, fellowship, and faith – and two remarkable presentations. 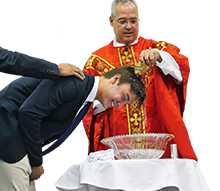 The first, by this year's senior speaker, Jaden Pask '19, provided an unforgettable moment. Pask spoke about the powerful, loving relationship he has with his father, U.S. Army Command Sgt. Maj. Jasen Pask. His father initially was deployed overseas when Jaden was just 6 years old, and the younger Pask vividly recalled that moment at the airport when his father first left to serve his country. A 28-year military veteran, Sgt. Maj. Pask has earned numerous awards and decorations, including two Bronze Stars, two Meritorious Service Medals, two Army Commendation Medals, two Army Achievement Medals, an Iraqi Campaign Medal, an Operation Enduring Freedom Campaign Medal, two Global War on Terrorism Service Medals, and a Humanitarian Service Medal. Sgt. Maj. Pask has been away from Tampa this year while training soldiers at U.S. military bases. Last week he was making the 7-hour trek from Fort Benning, Ga. to Fort Bragg, N.C. when he received word that he could fly back to Tampa – to surprise his son at the Men for Others Dinner. 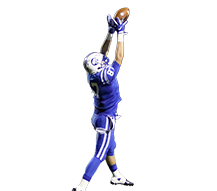 Click here or scroll down to view a video of Jaden Pask's presentation about his father, which includes the moment immediately afterward when his father walked out from behind the side curtain onto the stage. The impactful keynote address was delivered by renowned humanitarian physician Dr. Wes Ely. Dr. Ely is a professor of medicine at Vanderbilt University Medical Center and co-director of the Critical Illness, Brain Dysfunction, and Survivorship (CIBS) Center. His research has focused on improving the care and outcomes of critically ill patients with ICU-acquired brain disease. He and his family have been very involved in missionary work for years in Haiti, and he currently works to help provide salaries and supplies to foster a sustainable and successful dental mission for the people of LaValee, Haiti. "The Jesuit education is built on faith and service for others," said Dr. Ely, who was a high school classmate of Jesuit president Fr. Richard C. Hermes, S.J. 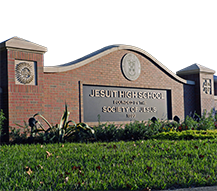 at Jesuit High school in Shreveport, La. "Exactly the same way that we have faith in our fathers, and you as fathers have faith in your sons. 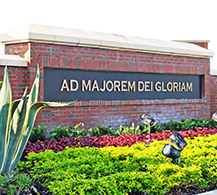 "AMDG – this slogan of St. Ignatius, upon which he founded the Jesuits, 'For the Greater Glory of God,' has been with me my entire life. And every time I've gotten off course in life, distanced myself from God, made bad decisions, I have always tried to remind myself to fall back onto AMDG ... I still take my guidance from AMDG." Each year at the Men for Others Dinner, the Dads' Club makes a generous donation to the school. Sunday, Dads' Club president Mark Snellgrove, P '19 presented Fr. Hermes with a gift from the Dads' Club of $265,000. 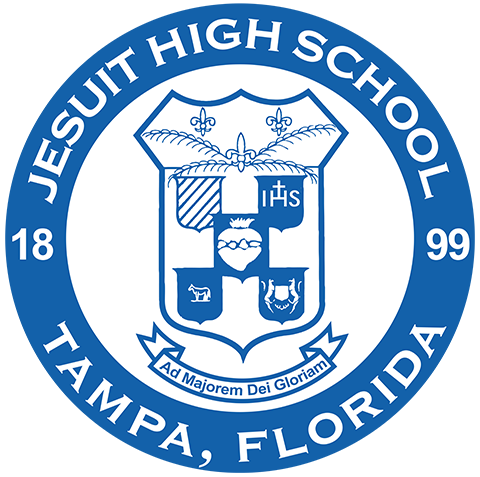 The money was raised primarily through Dads' Club coordination of parking for events at neighboring Raymond James Stadium during the 2018-19 school year. Snellgrove also recognized all Dads' Club members who served 100 or more volunteer hours this school year, and then he presented the 2019 Michael G. Songy "Men for Others" Award, the Dads' Club's highest honor, to Steve Sanchez, P '17, '20. 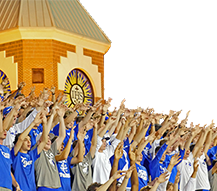 The award, which is given for service to the Dads' Club and Jesuit High School, is named for the late Mike Songy, P '98, '00. 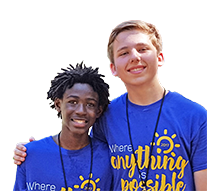 Click below to view video of Jaden Pask's presentation, below that is video of the keynote address by Dr. Ely, and below that is a photo slideshow from Men for Others Dinner.